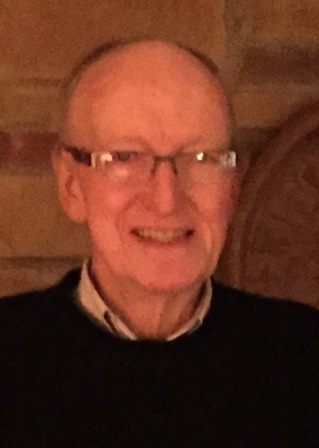 Mr. Edward “Ted” LaCroix, age 74, of Great Valley, New York died Friday evening, February 6, 2015 at St. John the Baptist Hospice Center in Buffalo, New York, following a long illness. Born December 29, 1940 in Salamanca, NY he was the son of the late Edward and June Fuller LaCroix. He was married August 11, 1991 on the Chautauqua Belle in Bemus Point to Amy DeTine, who survives. Mr. LaCroix grew up in Allegany State Park, and competed in many interstate skiing competitions there and around the state, earning numerous medals in cross-country skiing, downhill and giant slalom racing, and thirty/fifty meter ski jumps, as well as combined events. Mr. LaCroix was a graduate of Randolph High School Class of 1958. He had been employed at Holiday Valley Ski Resort in Ellicottville, New York for 29 years, retiring in 2005 as the General Manager of food service. He previously had driven a school bus for the Salamanca City School District, was a barber at the former Doug’s Barber Shop in Salamanca, a cashier at the A&P Grocery Store, and a bartender at the former Salamanca Moose Lodge. He served three terms as Councilman for the Town of Great Valley and was currently the Deputy Supervisor for the Town of Great Valley. He also served on the Cattaraugus County Fair Board for over nine years. Ted was an avid New York Yankees fan, coached the Jr. League Allstar Baseball Teams, and was a faithful Oakland Raiders football fan. He enjoyed the outdoors; hunting, skiing, and golfing. In his retirement, he renewed his love of horses and became an adept trainer, especially with his own America Paint horses. Ted enjoyed spending time with his family, and most especially his grandchildren. Surviving besides his wife are: 4 children, Mary Kay (Earl) Jenks, of Barre, NY, Tim LaCroix of Winston Salem, NC, Jay (Peggy Ognen) LaCroix of Ellicottville, NY, and Suzie (Dan) Stone of Jamestown, NY; 1 brother, Terry (Paula) LaCroix of Salamanca, NY; 5 grandchildren, Katie Manfre of Hamlin, NY, Jessica and Nicholas LaCroix of Ellicottville, NY, Brianna and Bryce Stone of Jamestown, NY; several nieces and nephews. Friends may call O’Rourke & O’Rourke Inc Funeral Home, 25 River Street, Salamanca, NY on Tuesday, February 10, 2015, from 2-4 and 7-9 pm. Funeral services will be held on Wednesday at 11 am at St. Paul’s Lutheran Church in Ellicottville, NY with Rev. Michael Lonto, Pastor of St. Mary’s Episcopal Church, officiating. In lieu of flowers the family suggests memorials be made to Roswell Park Cancer Institute, Buffalo Hospice, or the Ellicottville/Great Valley Recreation Trail.